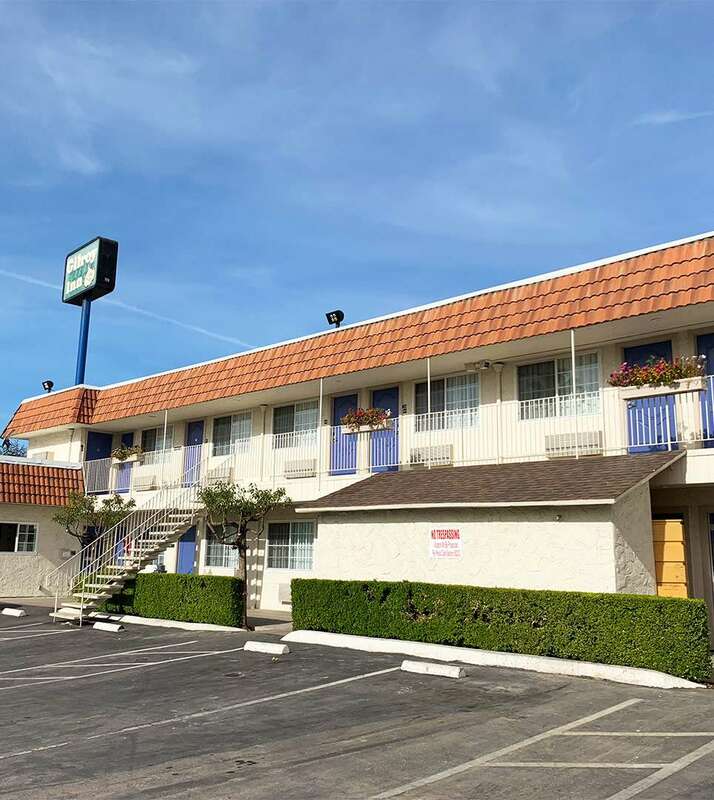 The Gilroy Inn provides clean, well-appointed guest rooms with the choice of a comfortable king or queen bed, with touches like complimentary WiFi, a flat-screen TV, a desk and telephone, and a refrigerator and microwave. Each guest room features hardwood floors, modern décor, and personal climate control. Each guestroom is fitted with a private bathroom that includes soft towels, a hair dryer, and complimentary signature toiletries. The Gilroy Inn is proud to be a 100% smoke-free hotel. Our location offers convenient highway access and keeps guests near fantastic shopping at the Gilroy Premium Outlets, restaurants, and attractions like the Gilroy Gardens Family Theme Park. We are pleased to provide a friendly and helpful 24-hour front desk staff, complimentary WiFi to keep guests connected, and complimentary on-site self-parking. Guests of the hotel also enjoy the on-site Denny’s restaurant. Complimentary on-site self-parking is available. Complimentary WiFi is available to guests. Up to two children ages 17 and younger stay free of charge when staying with a parent or guardian and using existing bedding. There is no capacity for extra beds in the rooms.